Ever heard the term “corflute” before and wondered what it referred to? Fear not, we have all the answers in this article. Corflute is the industry name given to corrugated polypropylene, a fluted plastic which is lightweight yet rigid. The plastic is extruded to give it the large rectangular flutes all the way through it, and it has medium outdoor longevity. The name “Corflute” is actually registered to Corex but the industry has picked it up and now uses it as a generic term for fluted plastic. The reason the sign industry loves it is because it’s cheap and easy to cut to size. It also can be used for freestanding A-frames due to its inherent strength. 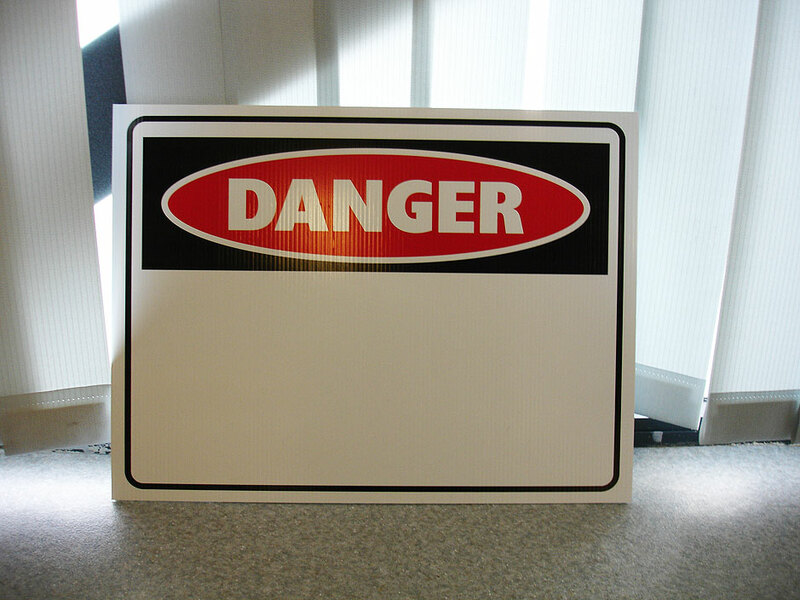 It comes in a variety of thicknesses but the most common for the sign industry are 3mm and 5mm. It comes in most standard colours (black, white, red, green, blue and yellow) however white is the most common. The packaging industry and construction industry also use corflute for creating boxes or for packing out or protecting large areas. The standard sheet size is 2400mm x 1200mm although sheets can be found up to three metres long. 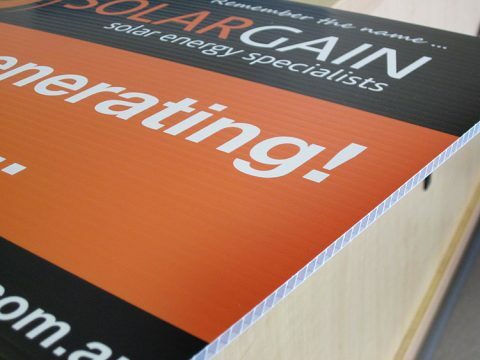 Corflute signs made by Perth Graphics Centre are made from high quality corflute so you can be sure you’re getting the best of the best. We also sell corflute sheets, so when you’re thinking corflute, think Perth Graphics Centre. Corflute is a signage and packaging product and isn’t designed to last long-term, especially under a house. Hi Bob, while the product supplier may not guarantee any non-standard use, polypropylene can be expected to last a long time if not exposed to direct sunlight, which causes it to photodegrade (i.e. crumble) over time. 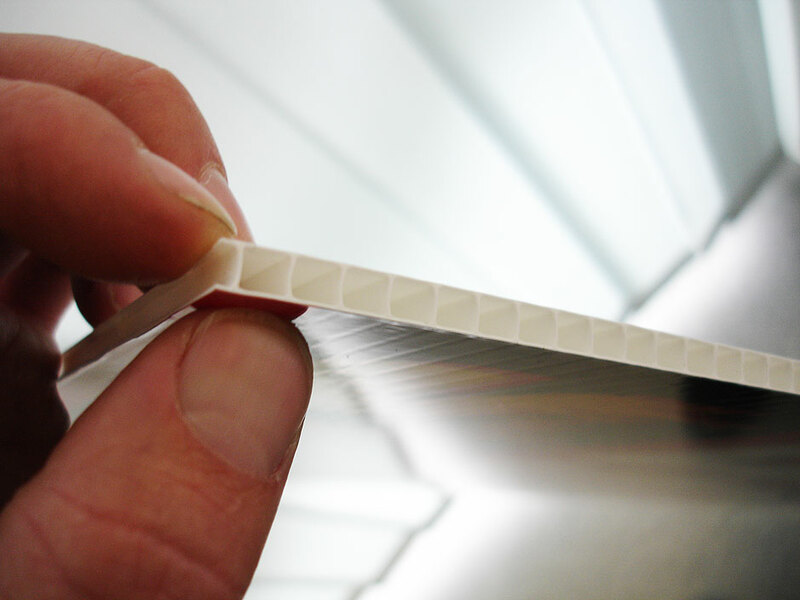 Is there any difference between corflute sheet and corrugated sheet? Both polypropylene corrugated sheets and corflute are the same thing. In a standard 2400 x 1200 sheet, which way do the flutes run? The flutes run down the length – along the 2400 direction.